We spend more time in the office than we do at home, it is where we conduct our business and where our customers come to get to know us. What does your office space do to motivate your staff and how does it engage your clients? Unless you can honestly answer these questions positively Studio Wall Art can help you to stimulate your business! AON plc, a leading global professional services firm providing a broad range of risk, retirement and health solutions, wished to introduce their new global corporate imagery into the office environment at their Farnborough regional HQ. 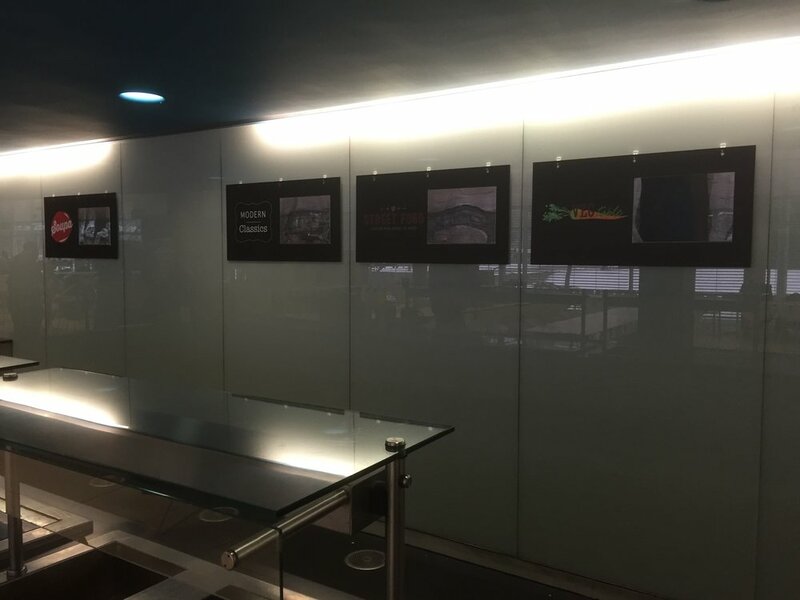 Studio Wall Art were entrusted with the production and installation of Wall Art to several office locations including a 22m corridor, lift lobbies and fire doors and a large 3m square montage of Canvases installed in the reception area. Studio Wall Art's professional installation team were able to install the various sites, during office hours, without any disruption Aon's busy working day. Bombardier - a world leading manufacturer of both planes and trains - had the requirement to dress their new offices in Addis Ababa, Ethiopia with their portfolio of corporate imagery. Studio Wall Art produced nine boxes of Printed Frosting, Canvases, 3D Logos and Prints to Acrylic for shipment to site with the installation being completed by a local agency. Additional pieces are being produced as we speak and will shortly be shipped to site. LEON restaurants - fast food can be good food! LEON restaurants is an inspirational restaurant chain based around London, Manchester, Birmingham and several ports and airports. They are the leaders in healthy fast food, serving food that not only tastes good but also does you good! We produce Window Vinyls in reverse to go inside the widow, positive to go outside the window and with holes in so you can see through the window. 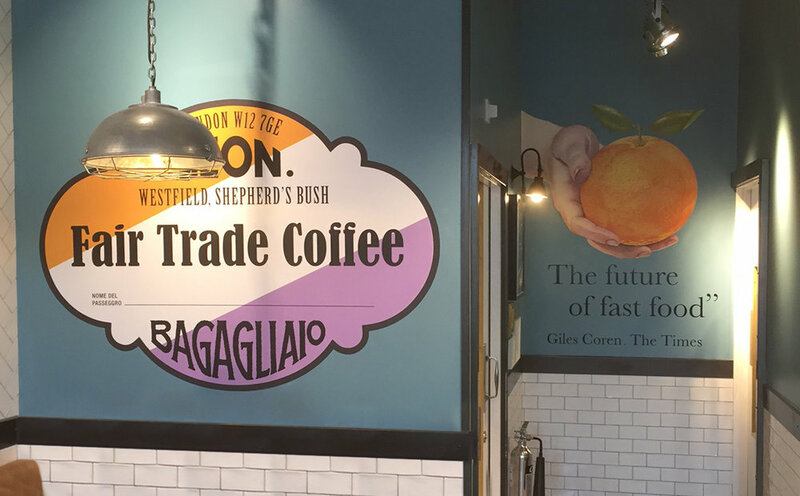 Bright, dynamic vinyls are attention grabbing and informative enabling you to present your message to the passing traffic on your high street. With many shops on the high street disappearing shop windows are presenting promotional opportunities to shops and businesses eager to present their offer to the public. Even as a temporary promotion Window Vinyl offer large scale statements for your business!